A chin augmentation is a surgical procedure that uses a pre-formed silicone implant to improve the overall facial appearance. 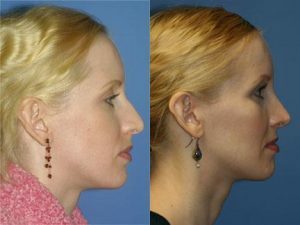 Correcting a small or weak chin, a chin implant can benefit the proportion of the lower face and jaw; improving the look of all the features, such as the nose and cheeks. The aesthetic balance provided by a chin implant can provide dramatic results for patients frustrated with their appearance. The ideal chin implant patient will be in overall good health, with realistic surgical expectations. Anyone, man or woman, dealing with an underdeveloped or weak chin, may find excellent results from the chin implant procedure. 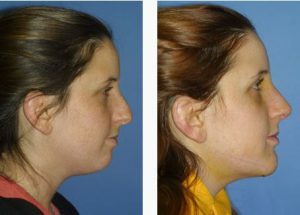 To begin your chin implant journey, take some time to research the procedure and the recovery process online. If you are still interested, contact Dr. Miller’s office in New York City to arrange for a confidential consultation. At this time, he will review your medical history, perform a brief physical exam, and discuss your goals for the surgery. Dr. Miller will show you Before/After photos to assist in a visualization of potential results. 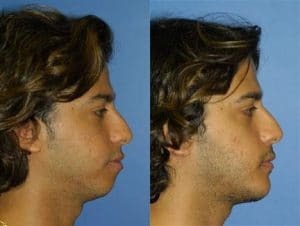 Should a chin implant be the right procedure for your situation, an individualized surgical plan will be created. The chin implant procedure will take approximately 30 minutes, performed under a local anesthetic. A small incision will be made along the crease below the chin, or inside the lower lip, through which Dr. Miller will place the chin implant. This will be anchored in place, and finally, sutures are placed. The chin implant procedure can be combined with other cosmetic procedures for optimal results. These can include Botox Cosmetic, dermal fillers, and cheek implants. The procedure can also be easily combined with fat removal of the chin and neck – referred to a submental lipectomy. Q: What are the potential risks with a chin augmentation procedure? A: Chin augmentation is considered a safe procedure. Patients rarely experience complications, but on the rare chance, they may include scarring, delayed wound healing, or permanent numbness. 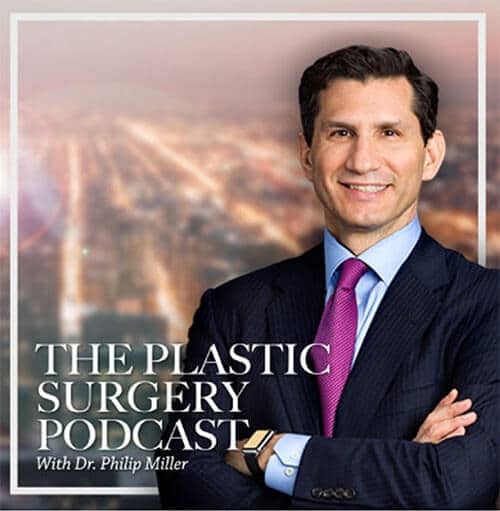 When patients choose an experienced, Board Certified cosmetic surgeon, like Dr. Miller, the chance for complication decreases farther. Q: How long does the actual chin implant procedure take? A: A chin implant surgery, performed by Dr. Miller, will take from 30 minutes to one hour to complete. Patients are able to return home about four hours after their procedure. Q: Will my chin implant procedure leave scars? If Chin Implant incision is made along the crease below the chin, a small, well-concealed scar may occur. When possible, the incision may be placed on the inside of the lower lip; this does not leave visible scars. Q: Am I able to finance my chin implant procedure? A: Yes, Dr. Miller accepts cash, major credit cards, and health care financing through Care Credit. Contact our office for more information. Facial features are meant to work in harmony with one other, creating an attractive appearance. When one feature is out of proportion with other areas, facial balance is lost. Small, or flat cheekbones will rob the face of a healthy contour, and cause other features, like the nose, to look overly large. Cheek implants are designed to improve the look shape of the cheekbones, adding an appropriate proportion to the facial features. Dr. Miller utilizes a special medical-grade material, that both looks and feels like bone, to restore healthy contour to the cheeks. These come in a variety of shapes and sizes, easily tailored for each individual patient. By simply addressing the cheeks, all of the features can come together for an aesthetically pleasing look. A dramatic improvement can be seen in the appearance. Patients in good health, with realistic surgical goals, can make an excellent candidate for a cheek implants procedure. Patients frustrated with flat cheekbones or disproportional features may find they benefit from this invasive surgery. A good augmentation patient may also have small cheekbones, lack of fullness in the cheeks, poor facial asymmetry, or the desire to permanently improve the harmony between all of their facial features. First, go online and research the cheek implant procedure. Understand how the procedure is performed and look over multiple Before/After photos. If cheek implants still seem right for you, schedule a consultation appointment with Dr. Miller. The consultation appointment is a vital part of the surgical process. Dr. Miller will take this opportunity to review your medical history, perform a quick exam, and discuss goals for surgery. 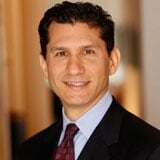 He will explain the procedure in detail, as well as what to expect from the recovery period. If cheek implants are right for your situation, a unique surgical plan will be developed with your goals in mind. The cheek implant procedure will take between one and two hours to complete, performed under general anesthesia. Dr. Miller will make a small incision on the inside of each cheek; from here the implant will be inserted. The implants are placed into a pocket, located within the targeted area of the cheek. Dr. Miller will safely secure the implants, so they will remain in place. The incisions are sutured closed, allowing for appropriate healing. Q: What are the risks from a cheek implant procedure? A: The cheek implant procedure is considered both safe and effective. Rarely do complications occur, but they do, can include scarring, infection, asymmetry, implant migration, and nerve injury. Patients should only see a board certified cosmetic surgeon, like Dr. Miller, for their Cheek Implant procedure. This will further reduce the risk for complications. Q: What is the recovery period like after cheek implants? A: The recovery time from cheek implants is approximately two weeks. Initially, patients may notice some bit of swelling and bruising along the cheek or under the eye. This will fade over the first week or two. Keeping your head elevated and applying cold compresses will help to alleviate swelling. Mild pain may be experienced, but Dr. Miller will prescribe appropriate medications to keep his patients healing comfortably at home. Dr. Miller utilizes dissolvable sutures, so these will not need to be removed, although a follow-up appointment will be scheduled. Patients are normally feeling well enough to return to work in a week, possibly sooner. Strenuous exercise, however, should be postponed for four to six weeks. Q: When can I return to work after cheek implants? A: Most patients feel well enough and are comfortable enough with their appearance, to return to work or school in three to five days. Q: How should I prepare for my cheek implant procedure? A: Do your homework. Understand the cheek implant procedure and recovery. 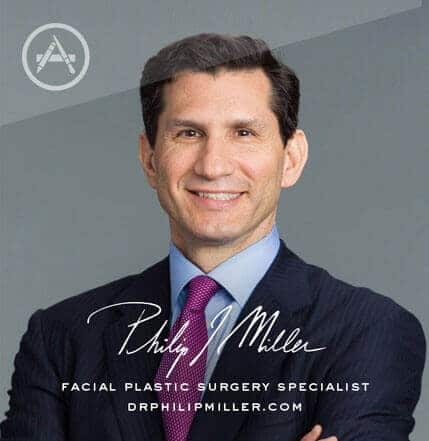 If there are any questions remaining after the consultation appointment with Dr. Miller, contact our office in New York City immediately. Q: How long is the cheek implant procedure? A: The cheek implant procedure will take between one and two hours to complete, from start to finish. Next, learn about C02 laser resurfacing.